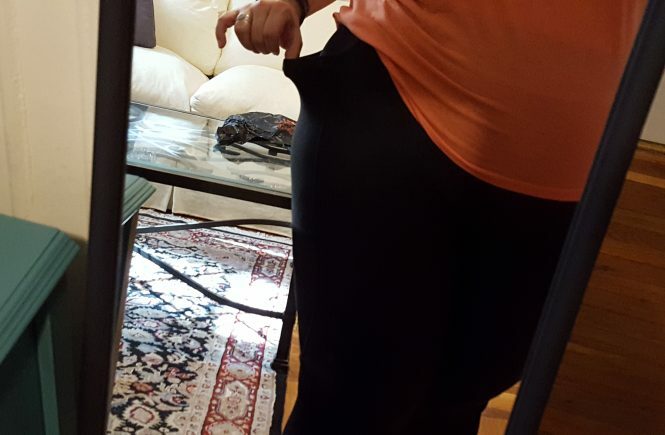 As I wrote in one of my earlier posts, it makes losing weight a bit easier if you have something to look forward to along the way. My first goal came really quickly and I hit it only after 2 week. 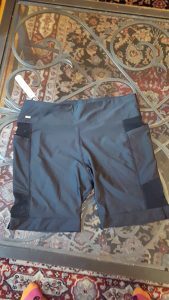 My reward was new training pants and/or shorts. It was time to go looking for the right pairs. First I needed to think about my needs. 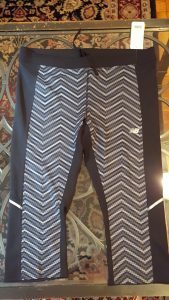 What did I need from my new workout pants? I needed a pocket for my phone and keys. 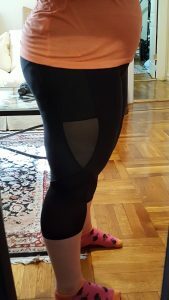 I needed them to be comfortable around my thighs and I needed them no be midi or high waisted. Hate it when pants are too low and they keep crawling down when you are doing burpies or sit ups or when the belly hangs out when you look at yourself in the mirror. Like most people, I have a pretty tight schedule with a 50 hour work week (on average) 5-6 days of training and maintaining and finding topics for a blog (it takes more time than I had anticipated but I am getting some great material so stay tuned). With limited time, I love internet shopping as I do not have time to go from store to store and honestly, I do not have time to go from website to website searching all brands. I do not even know all brands. So my thought was to make use of what I know. 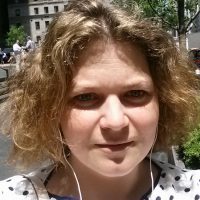 I know affiliate and if there is something we are good at, it is new apps and finding discounts. As I needed to try on my clothing, I needed something that could provide free shipping and returns and one of the partners I work with on daily basis are: Spring. They offer Free Shipping and Returns while you can shop any merchant you can think of. So I went to Spring and I started searching for workout clothing, pants, capri and shorts in particularly. I found a brand that could provide exactly what I was looking for: Naja. Naja is a brand that makes sure that the ones making the clothes are paid a decent wage. If you know me well, you know that is exactly me. So it was fate that I found the brand and they had the type of work out clothes I was looking for. I bought one of their Capri pants and a pair of their shorts. Just in case I saw that New Balance had a sale so I grabbed up one capri pair from them as well. 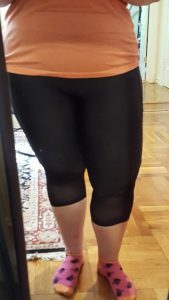 My clothes came after 3 days and now I have had a chance to try them out. I LOVE LOVE LOVE my new Naja pants. They are amazing and they look good. The New Balance was not my favorite but they do the job and would be a good fit when I lose a bit more weight. I took a few pictures for you to check out.